with the main cities of Mexico and some in the United States and Canada. 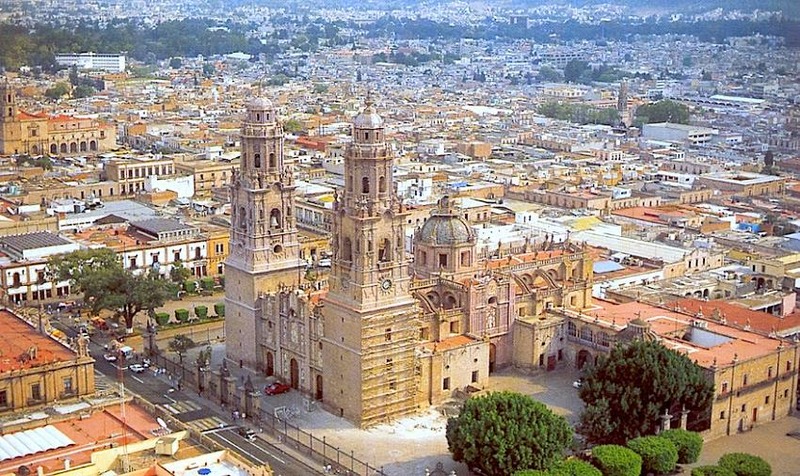 Tourism in Morelia offers great artistic attractive due to its significant architectural, cultural and historical heritage, giving the visitor a memorable experience. Also, Morelia is home to major cultural and sporting events nationally and internationally, such as the golf tournament and level international film festival, among others. Whether business or pleasure, Morelia is certainly a point that both domestic and foreign travelers should not miss the experience and live in one of the most beautiful cities of our country unique in the world. Also find crafts area in the magical town of Tlalpujahua, Ocampo and Angangueo recently appointed new magical town is the natural area where one of the most wonderful phenomena of the world occurs, the monarch butterfly which travels thousands of miles to be four months in our beautiful forests filled with pine, walnut, weeping willows, mesquite and others ideal for making more than 150 million monarch butterflies each year natural environment.